Looking for a job can be very disheartening and frustrating – you may apply for many roles, often not getting to the interview stage or even an acknowledgement that you actually applied! However, it is very important to work on staying positive throughout this stage. 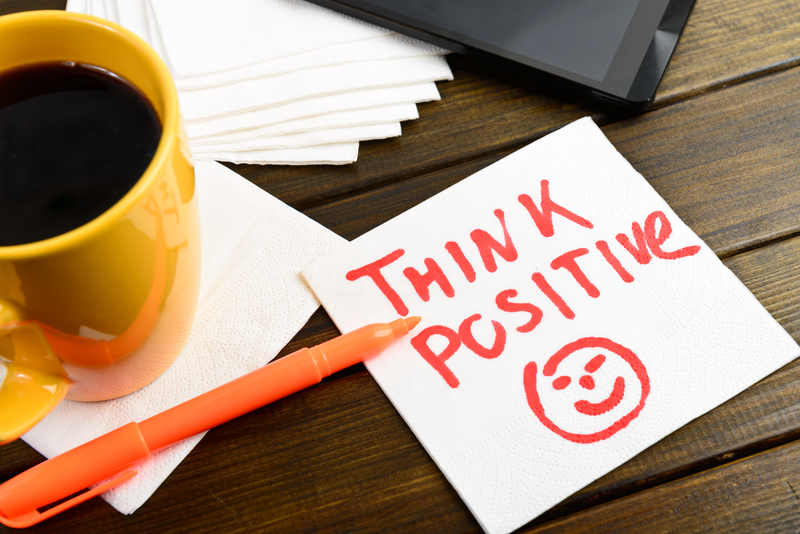 Not only will your positivity keep you motivated in the search, but how you are feeling will be reflected in any interview or networking meeting that you do get. If you haven’t already, create a routine around your job search. Looking for a job is a fulltime job, but is often not treated that way. Have set hours when you focus on your job search, whether that is 9-5 or set hours in the morning and afternoon. The main thing is to keep it consistent, and you know that within those hours you are focused, and outside you can allow yourself to focus on other aspects of your life. Keep your job search organised – create a spread sheet to record all roles applied for, the contact details of the employer, the closing date, and details of your follow up. Include all your networking meetings as well. This allows you to keep control of what you have done, what needs to be done, and what can be let go. Balance your life with activities that ensure that you have time that you do not think about the job search. When looking for work, it can consume your thinking. This is not always productive, so scheduling in some time where you can spend time doing leisure activities, spend time with family or friends or meditate, will give you the resources to be focused in your scheduled job search time. Giving back to others through volunteering can really add to your sense of contribution. This could be through your church, at a hospital, homeless shelter, not for profit organisation. As a bonus, you gain experience and contacts that you may not have got otherwise. Stay up to date with what is happening in your industry. Just because you aren’t currently working, don’t stop going to events – mixing with others in the industry keeps you in touch with the latest happenings and possible new openings. It also keeps you up to date with new technology and ideas, putting you ahead of those who don’t. Find a support group of others in the same position as you. Does your local community have a group? Is there one online? There are many others in similar positions – supporting one another will help you stay on top of your job search and possibly result in future leads. Set goals that are achievable – at the start of each week, have a goal to tackle the job market – for example, applying for 3 new roles, making 2 new networking contacts, making 2 new LinkedIn connections, and making contact with 1 new recruiter. This ensures that you have a sense of achievement at the end of the week, and keeps you focused on the task. Celebrate the small wins – even if you don’t get the in person interview, congratulate yourself for getting the phone interview. Celebrate making new LinkedIn contacts or making a call to have a network meeting. These are all steps forward, and should be celebrated. Avoid negative people – find the people who support you and have a positive frame of mind. Negative thinking is not of value and will not support you in your search. See everything that you do in your job search as developing skills for your future. Every interview that you go for allows you to hone your interview technique, every cover letter allows you to practice your writing, every contact you make allows you to broaden your network with the opportunity to meet new people. Upskill or take a class for interest – there is nothing better than learning new skills to gain a sense of achievement. You also meet new people along the way. So if you have always wanted to learn a new language, a computer programme, or cooking – this might be the time! Focus on what you can control – it can be a roller coaster of emotions, applying for a job and waiting for the call. Often this is out of our control, so focus on what you can do, for example, follow up with an email or a call rather than waiting for them to get back to you. Contact me to get support in your search.